There's still time to save them. There are only an estimated 90 gray wolves in Washington state, but on August 5, state wildlife officials shot and killed two of them from a helicopter. These wolves, both breeding females, were part of the Profanity Peak wolf pack, composed of six adults and five babies and just one of 19 gray wolf packs in Washington. Because the wolf pack had been killing cattle in the region, the state has decided to kill off the whole pack - and plans to shoot the remaining nine wolves. It's not too late to stop the slaughter. A petition to save the wolves has already gathered over 10,000 signatures, and some are contacting Washington state's Wolf Advisory Group directly. "The department is committed to wolf recovery," Donny Martorello, Washington Department of Fish and Wildlife wolf policy lead, said in a release, "but we also have a shared responsibility to protect livestock from repeated depredation by wolves." Sadly, this excuse for killing wolves is nothing new. Once the world's most widely distributed animal, the gray wolf has become extinct in much of Western Europe, in Mexico and in much of the U.S., according to the IUCN: "Their original worldwide range has been reduced by about one-third by deliberate persecution due to depredation on livestock and fear of attacks on humans ... Continued threats include competition with humans for livestock and game species, exaggerated concern by the public regarding the threat and danger of wolves, and fragmentation of habitat." Killing wolves to protect livestock doesn't even work, a recent study showed. In fact, it can backfire. For each wolf killed, the odds that other wolves will prey on nearby farm animals actually increase. Despite this, the remaining members of the Profanity Peak wolf pack are now being hunted by the state. They have been living in the Kettle mountain range since at least 2014, according to Defenders of Wildlife. "It's a disappointing day when the state has to move forward with the last resort of lethal control, but we have come to that day," Shawn Cantrell, Northwest program director for Defenders of Wildlife, said in a statement. "Removing members of the Profanity Peak wolf pack is a loss to wolf recovery efforts in the region. 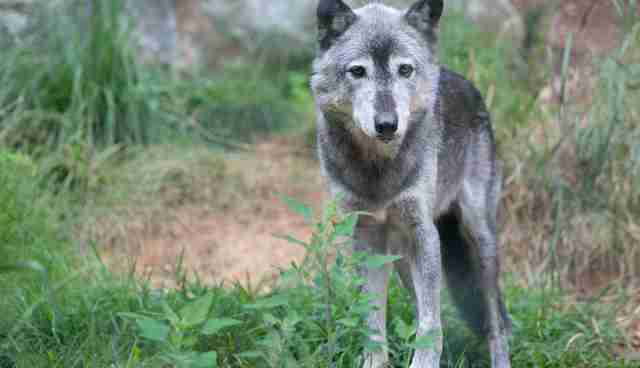 The best thing to do is to learn from this sad outcome and redouble our collective efforts to proactively prevent future livestock-wolf conflicts." The WDFW did not immediately reply to The Dodo's request for comment. To contact Washington state's Wolf Advisory Group click here, or email donny.martorello@dfw.wa.gov.